Donald Looper is a tax lawyer whose practice focuses on project finance, project development, and structuring partnership, corporate, and international transactions. Don’s skills for structuring and managing international business transactions have resulted in his being selected by clients to manage international projects negotiated in 35 foreign countries and across the United States. U.S. clients utilize his tax and project management skills to navigate treaty issues and manage acquisitions in foreign countries, including supervision of local lawyers and accountants, tax reporting, and contracting. Among his areas of experience are U.S. and U.N. regulatory sanctions against foreign jurisdictions and designated nationals. The 1994 case of Looper v. Morgan, upholding his measures to protect client privileged work product and communications, stemmed from Looper’s legal role managing an international refinery and marketing acquisition while complying with international sanctions against Libya. Don enjoys a close working relationship with executives and GCs, representing public and privately held companies and private equity funds in a variety of industries. 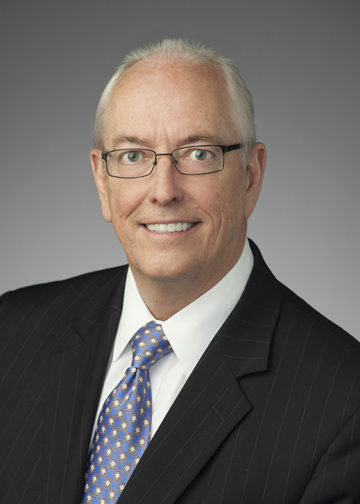 In addition to his representation of upstream and midstream energy companies, Don’s client projects include seismic gathering and processing, refinery acquisitions, exploiting new oil field service technologies, commodity trading and logistics, rail and pipeline throughput projects, agriculture contracts, and pesticide, herbicide and new technology business development. He also represents clients in leveraged buyouts and complex or non-traditional forms of financing, off-balance sheet transactions and letter of credit facilities. Several of Don’s clients are privately held investment funds and foreign companies investing in U.S. assets. Represented National Energy Services Corporation, a BVI public company listed on Nasdaq, for acquisition of two oil field service companies, one in Oman and one in UAE, for a total purchase price of $1.1 billion to qualify under its SPAC to release trust funds for capitalization. Represented private equity funded management team in 2016 to pursue midstream projects in Mexico. Represents ASX companies investing to develop oil and gas reserves in the United States. Private equity project finance for marina company, amusement parks. Negotiated offshore exploration licenses in Bahamas and operating agreements between BPC, Ltd, an AIM company, and Statoil. Represents lenders and borrowers seeking oil and gas reserve-based financing. Negotiated in 2013 first-of-kind Bermuda based insurance policy to cover U.S. oil exploration loan losses. Tax planning for international companies, including Gowan Company, Jala Group. Structured oil exploration company Energy XXI, Limited, a public Bermuda company, publicly traded. Negotiated foreign and domestic project finance transactions, including crude loading terminal in North Dakota, soy bean large vessels flagged in Panama. Structured joint venture from inception for development of container sized biodiesel production units in Brazil, 2003-2007. Structured Katana Energy International, private Bermuda company owning U.S. and foreign oil interests; Kuwait investment fund and U.S. shareholders. Structured 2009 joint venture between U.S. client and CNPC to pursue coil tubing project. Acquisition of Hamburg refinery from Esso; included acquisition of 85 km pipeline, interest in deep water terminal, and joint sharing for rail, pipes and docks with lube operations; net back crude contracts. Structured acquisition of Gdansk refinery from Polish government. Negotiated barter contracts; including oil for construction contracts; methanol for gas trading by modifying NAESB form. Negotiated contracts for airport cargo infrastructure projects in Russia and South America. Transaction with Ministry of Public Health in China to use imaging technology, 1989. Investigated and negotiated breach of construction contract in Uganda. Organized international petroleum product marketing company in Cyprus, represented company in Cyprus 19 years, negotiated sale in Egypt. M&A and corporate divisions; including CPC Mexico pipe manufacturing, 1994; and CIMA Energy 2016. Formed offshore companies for international operations in BVI, Hong Kong, Panama, Cayman Islands, Trinidad, Bermuda, Isle of Man, and Bahamas. Negotiated international work outs, including hijacked vessel in Ecuador.